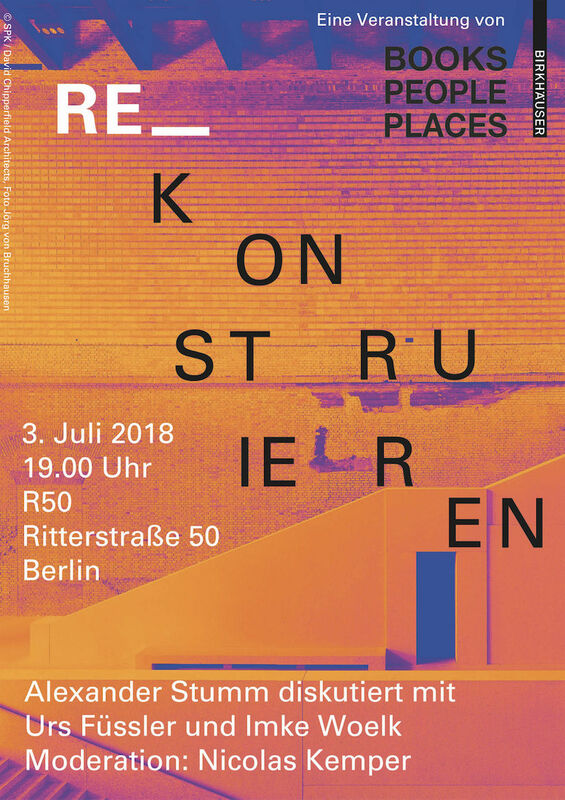 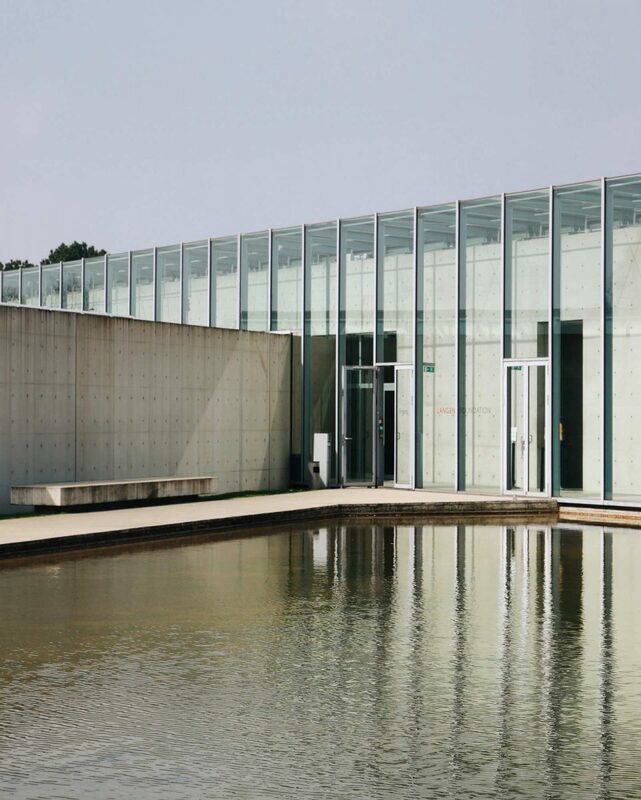 We’ve been invited to see the new exhibition Polyphon at the Langen Foundation with artists of the Collection Viehof. 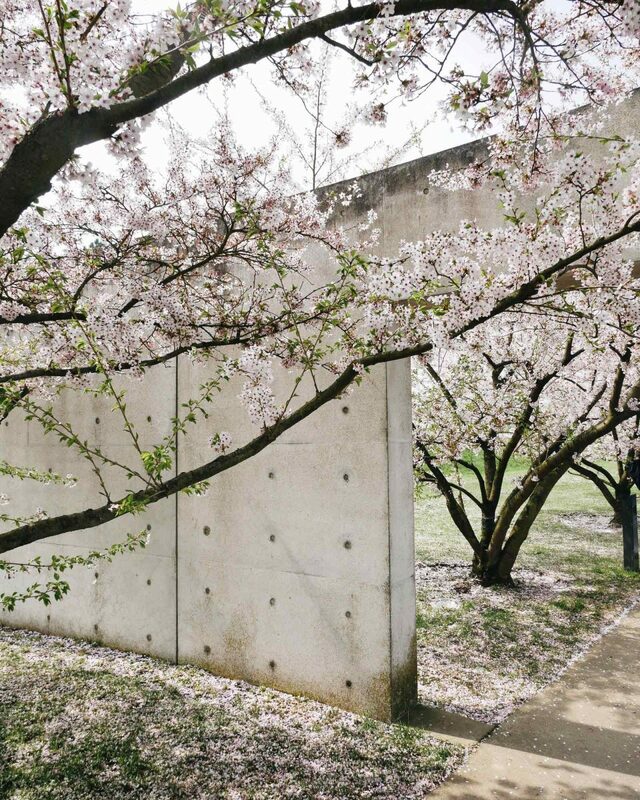 A work of art in itself is the sublime minimalistic architecture by Pritzker-prize winner Tadao Andō. 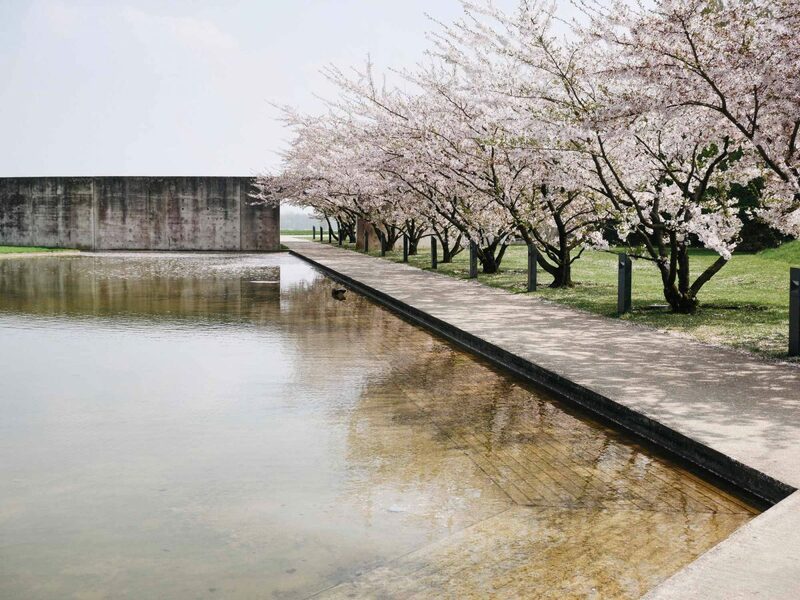 Situated in the nature the perception of the spaces change with different light situations and during the seasons. 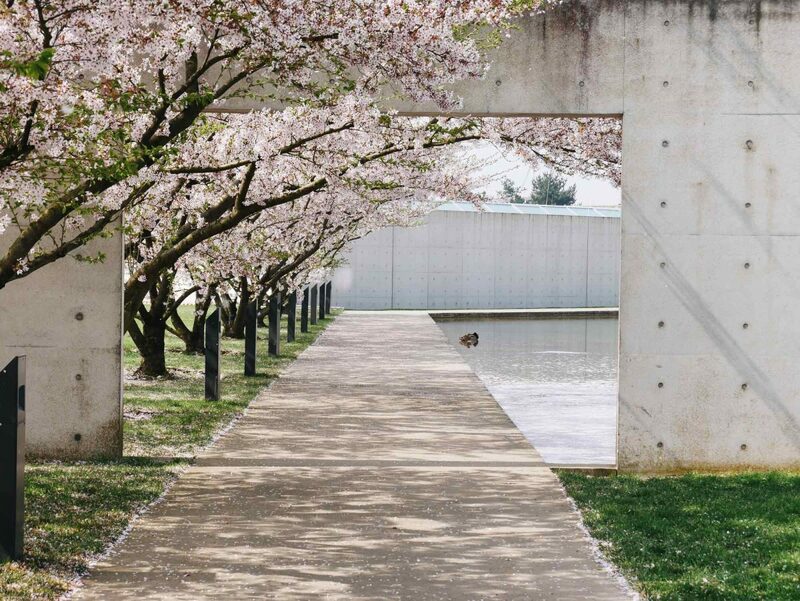 The annual cherry blossom is simply overwhelming. 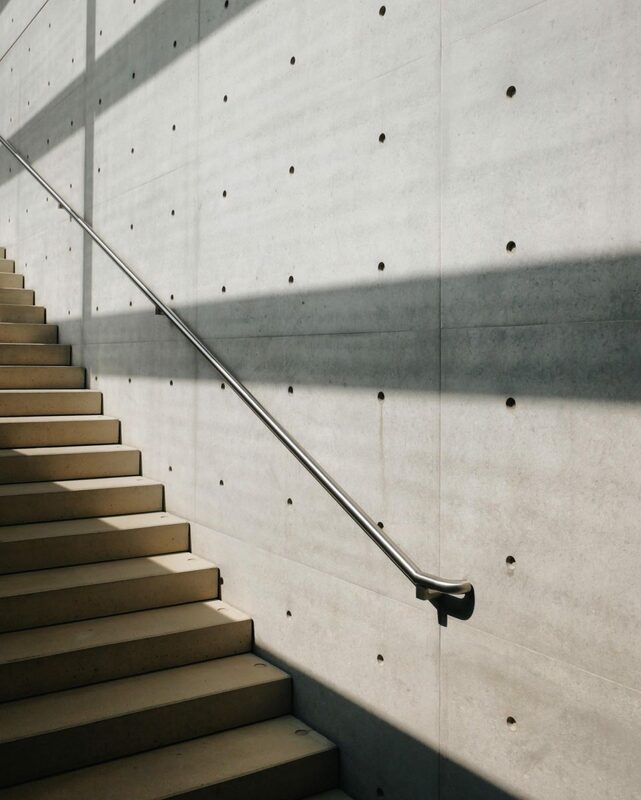 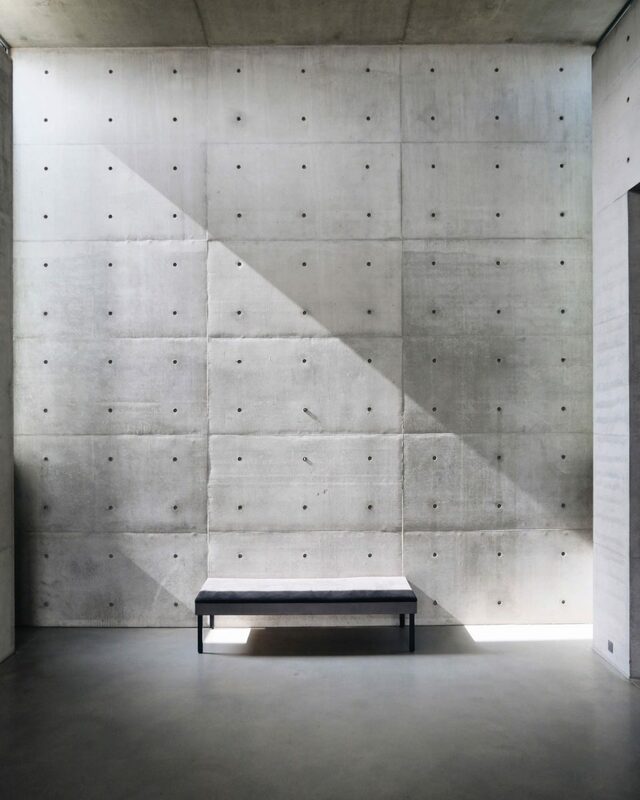 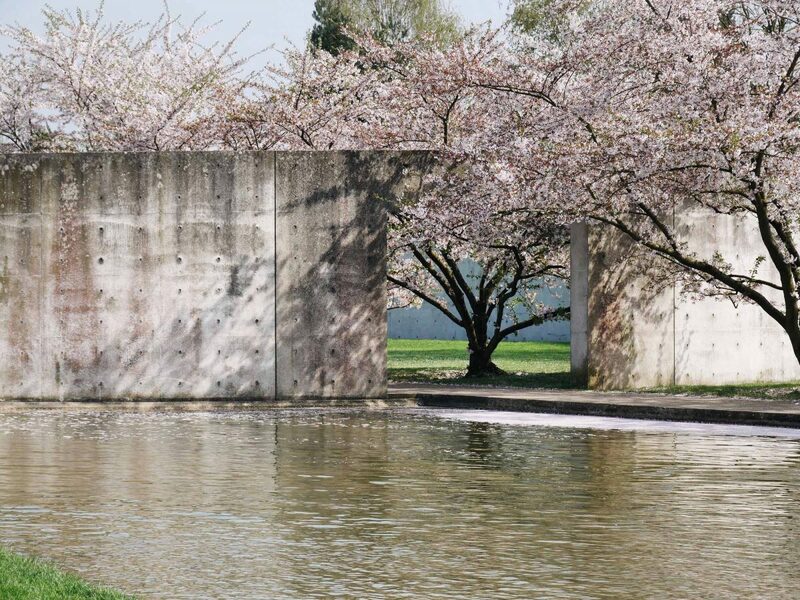 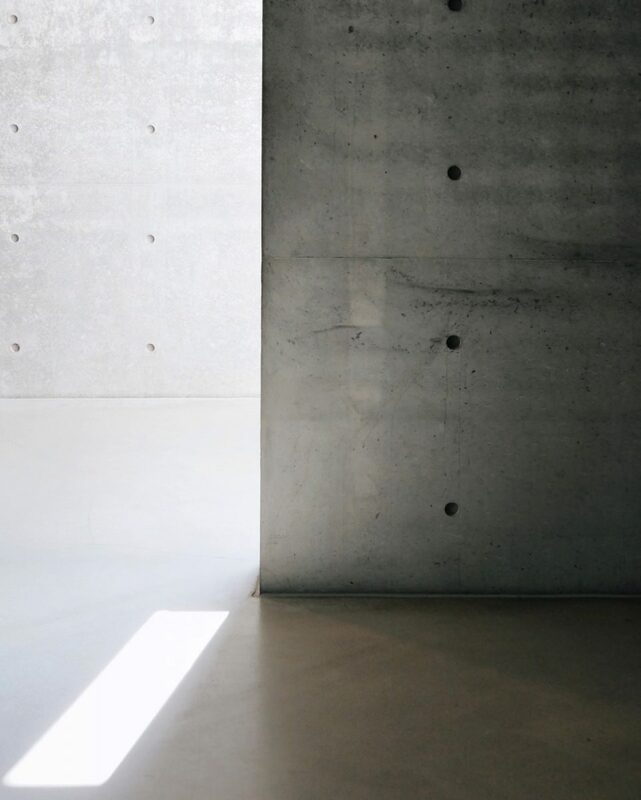 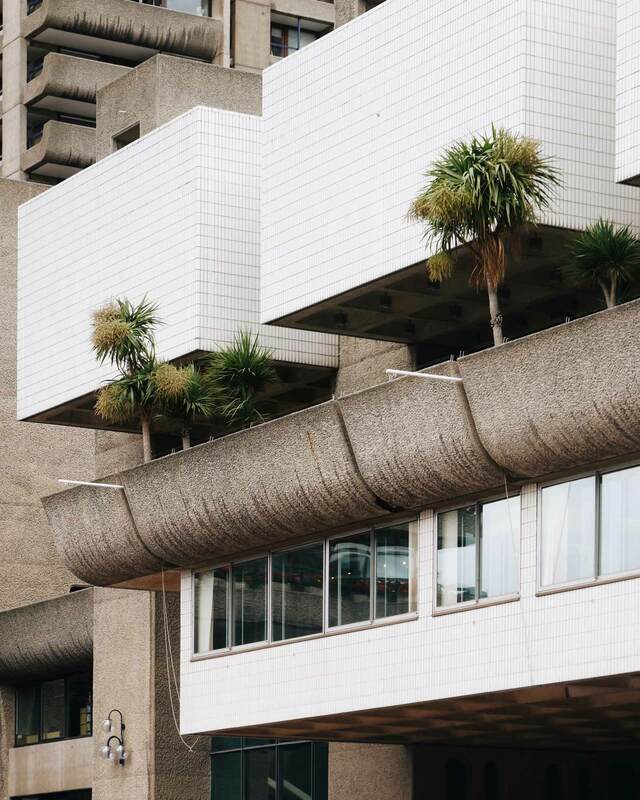 More than any other contemporary figure, Ando has been the architect of the reinforced concrete wall, creating volumes delimited by such boundaries, not only in order to define space but also to form it in such a way as to admit and reveal an ever-changing pattern of light. 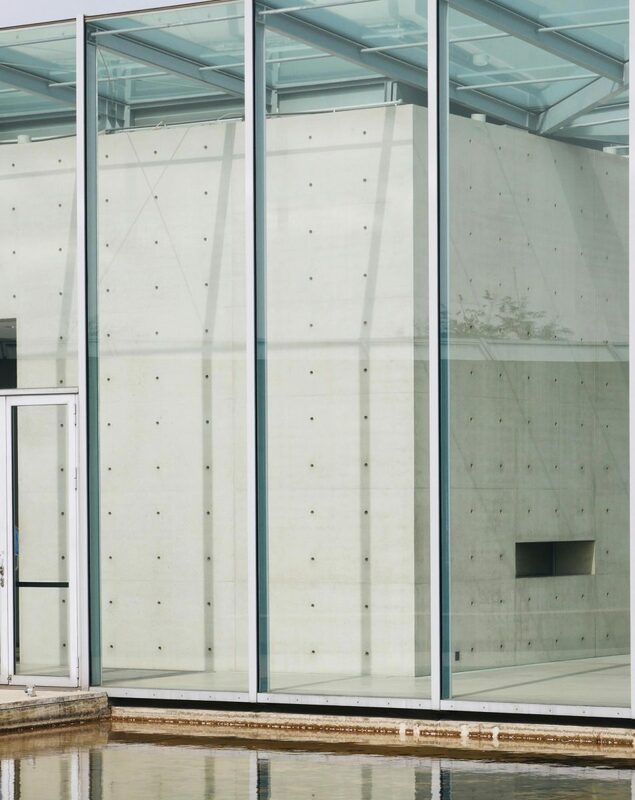 Aside from employing walls as domain-defining planes, Ando has also expoited the wall as a datum against which to read an internal armature of freestanding columns and beams.